In an identical concept to OS X Yosemite’s Notification Centre widgets, iOS 8 now has the ability to add widgets to customise your Today screen. 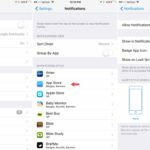 These little apps are a great way to add more functionality to your iPhone, and can be found in the App Store either part of regular apps or just as independent widgets. This article describes how you can add widgets to your Today screen, as well as a few of our favourites that you might like to check out. 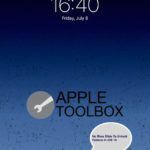 To start, all you need to do is swipe down from the top of your iPhone / iPad / iPod Touch to display the Notification Centre as normal. Make sure that the Today section is active (rather than Notifications) and then scroll down with a swipe all the way to the bottom of the list. It’s very simple to add or remove widgets. To add one, tap on the green “+” button, and to remove one tap the red “-” button. To change the order of the widgets, use the grab handles (which are the three horizontal bars to the right of each item) and drag them up or down into the desired order. When you’re finished, just tap on the Done button at the top right to accept the new selection, or just swipe Notification Centre away which does the same thing. Once you have added some widgets, next time you open the Today screen, the list will be updated to reflect the changes. Evernote is a fantastic note-taking app, which not only can be added to the Today screen, but also gives the ability to share anything to the Evernote app by sharing button extensions which work in apps such as Safari and Photos. By having the widget, you’ll have quick access to the Camera, Text, Photos, Reminders and List categories. The Yahoo News Digest app summarises the day’s news in a handy format in the Today screen. You can customise the news edition (e.g. International use or local). The interface is very attractive, and looks great on both the iPhone and iPad (which has a larger format). There are even news alerts twice a day when there are new stories. The widget itself just shows the top story, and takes you to the main app when you tap on it. 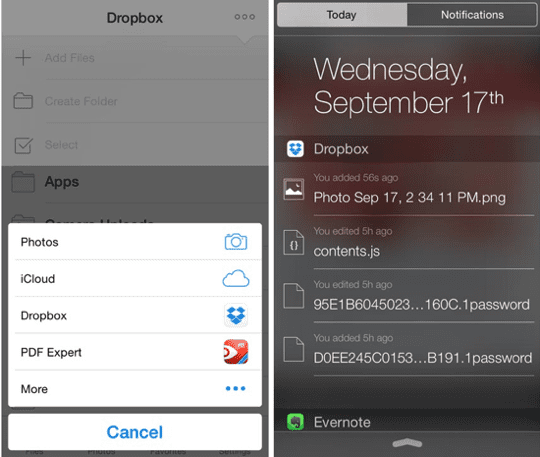 DropBox is used by millions of iOS and Mac users to share and store files in the cloud. The latest version for iOS 8 has lots of new features, but the widget itself lets you know when files have been recently changed, and selecting a file takes you to the preview view in the app where you can manage all the items you have uploaded. 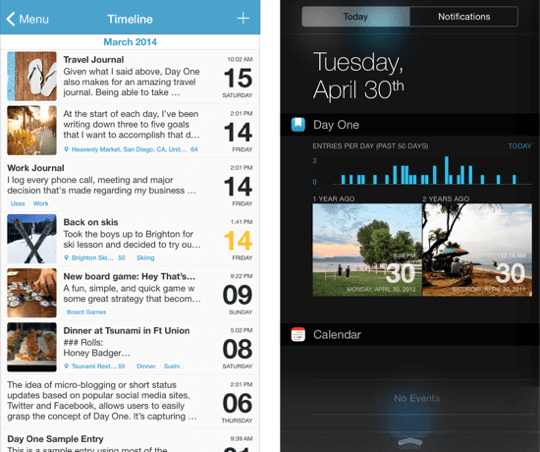 Day One is a great diary app that lets you create all kinds of journals and entries. It’s made even more useful with the new widget which displays all the entries you’ve made as well as some random photos. 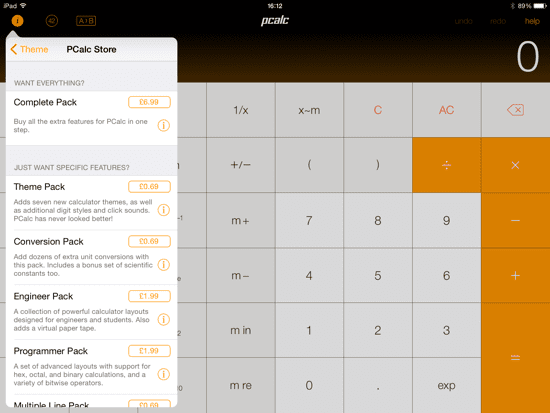 The iPhone already has a built-in calculator app (but not the iPad), but PCalc is one of the best third-party calculators and can be added to the Today screen for even quicker access than the one that comes with iOS. It’s always handy having a great calculator just a swipe away. PCalc Lite is free, and you can also choose to buy individual add-ons (which all come with the full version), such as more visual themes and specialist packs (such as the Engineer Pack, or Programmer Pack) within the main app itself. The add-ons are quite good value for money if you just need some extras but don’t need the full version. 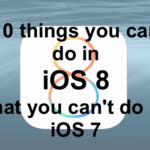 The ability to customise your Today screen is a really great feature in iOS 8. You can add widgets for many of your favourite apps which means you don’t even need to open them in standalone mode. Many widgets present a nice summary of the information, and then of course allow you to view more by opening the apps themselves. 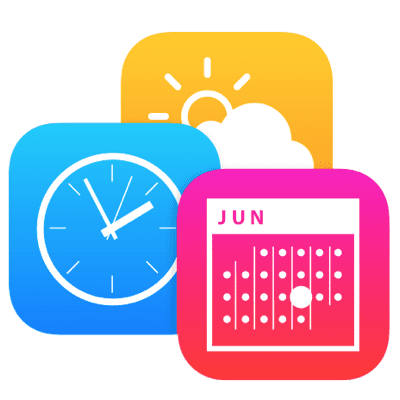 There are already quite a few widgets in the App Store, but let’s hope that many more will be available in the next few months as many of them are very useful indeed. 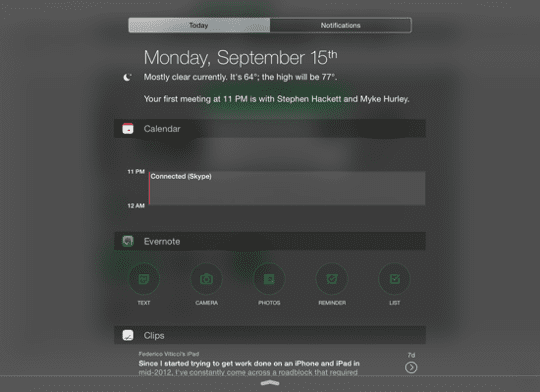 If you would like to know how to use Notification Centre widgets on OS X Yosemite, check out our related how-to guide.